Care2 Healthy Living | Craigslist, Help Stop Animal Abuse! 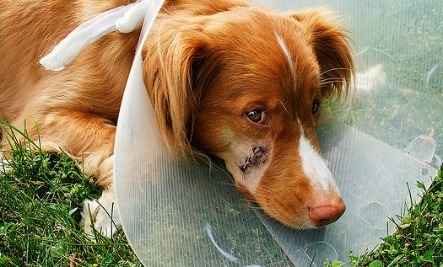 Craigslist, Help Stop Animal Abuse! First of all, moving to a new place that doesn’t allow pets is not an excuse for leaving them behind. Parents don’t move into a new apartment that doesn’t accept children. Loving pet parents just don’t see moving into a place that doesn’t allow pets as an option. Second, she is asking for money for her dog. If her highest concern was re-homing her Husky to a caring home, she’d bring him to a rescue organization that would carefully screen applicants to ensure he goes to his forever home. Of course, she then wouldn’t get paid for her pet. These kinds of ads on Craigslist are not uncommon. Unfortunately for the Husky, he may very well end up like one of the other dogs advertised on Craigslist — in a dog fighting kennel, a research lab, or a puppy mill. “Some people are simply not aware of the potential harm that they may send their pet into [by selling them on Craigslist], and don’t know the best way to keep them safe,” says Care2 petition author Cheri Teeter. Teeter started a petition after she read about a sweet Pit Bull named Duke that had been re-homed from a Craigslist ad and was later found being savagely beaten and kicked by some troubled teenager. Sign the petition, and let’s convince Craigslist to take a simple step to help our pets! If there is an issue you care about in your community or worldwide, you can start a Care2 petition like Cheri Teeter. Care2′s community of activists will join you in your cause and help you make a difference. Petition signed 2/19/15. We've been asking CraigsList to do a better job regarding animals for too many years now. Hope this petition gets delivered soon. I already signed the petition. Petition signed gladly and with great hope. Already signed. Wish people would think! Signed gladly! I am so tired of Craigslist and Facebook not abiding by their own rules when it comes to allowing posts that give away animals and permitting animal abuse pages.